The condition of the church around the world is both troubling and encouraging, both dismal and dynamic. Surveys by various respected institutions over the past ten years show that church attendance is declining in the developed regions (also known as the Global North) of the world—U.S., Canada, Europe, Australia, and New Zealand. • Around 17% of Americans attend church on any given week – not the 40% that some polls show. The discrepancy is in the “halo effect”—the socially desirable behavior that people tell pollsters that they do, and what they actually do. • Church attendance in Australia, New Zealand, and Europe is between 2% to 8% of the population. • Each year approximately 4,000 new churches are opened in the U.S., but around 7,000 churches close, a net loss of 3,000 churches per year. • American church attendance is steadily declining and is falling behind the country’s population growth. A net gain of at least 10,000 new churches per year is needed to keep up with U.S. population growth. 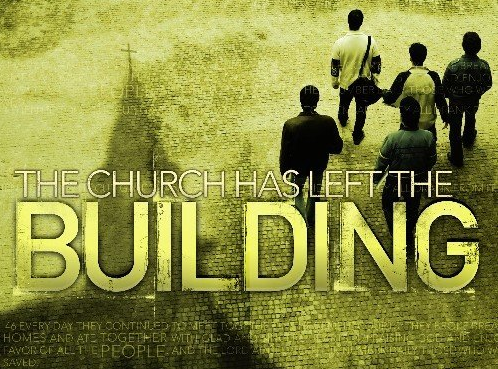 • Declining churches continue to decline; growing churches continue to grow: Mid-sized churches (100-299 attendees) are shrinking; the smallest (less than 50 attendees) and largest churches (2,000 plus attendees) are growing. The average sized Protestant church has about 124 attendees. • Most church growth comes from people who leave one church to join another. Very few new attendees or members can be attributed to new converts. • 50% of U.S. churches did not reach any new person for Christ in the last two years. • About 1,500 pastors leave the ministry each month due to stress, spiritual burnout, conflicts within their churches, or moral failure. • 50% are so discouraged that if they had another vocation or way of earning a living, they would leave the ministry. • 85% feel unqualified or poorly prepared for the realities of ministry. • At least 60% of seminary and Bible school graduates leave the ministry within five years of taking their first church job. • As much as 75% of pastors struggle with depression, worry, anger, fear, or alienation. • 70% feel grossly underpaid. • 90% put in 50 to 60 hours of work each week. • 80% feel that pastoral ministry affects their family negatively. • 40% have had an extra-marital affair while in ministry. • 25% are divorced; 50% will end in in divorce. • 80% spend less than 15 minutes a day in prayer. • 70% said that the only time they spend studying God’s Word is when they are preparing their sermons. • Only 13-51% of pastors—depending on their denominations—believe in the resurrection of Jesus Christ. If you’re troubled by all the bad news, don’t despair; there is also good news that will hopefully lift your spirit. Despite the falling away by many people from the church (illustrated by Jesus in his parable of the sower and the seed in Matthew 13:1-23), many others remain faithful to life within the fellowship and community of the church. These are the Christian believers who are maturing in their faith and whose numbers are growing because their pastors, lay leaders, and regular members have consistently shared the Gospel with neighbors and strangers and ministered to the poor, the hurting, the sick, and the lost, and have led individuals to salvation in Jesus Christ. These are the believers who understand that the future of the church is secure, for Jesus Christ is both the foundation (Acts 4:11, 12; 1 Cor. 3:11) and the head (Eph. 5:23) of the church, and he promises that nothing, not even the powers of Hell, can destroy his church (Matt. 16:18). They understand that they are the “living stones” of the spiritual house of God (1 Pet. 2:5) with Jesus Christ as their “chief corner stone,” their Lord and Savior, and his Holy Spirit lives in them. They demonstrate their commitment to following Christ by studying his Word, living by his teachings, obeying the guidance of the Holy Spirit, and growing to spiritual maturity and holiness through his grace and forgiveness. And they are part of the estimated 856.4 million individuals who, according to a 2010 survey by the Pew Forum on Religion & Public Life, continue to follow Jesus Christ in the U.S., Canada, Europe, Australia, and New Zealand, and account for 39.2% of the world Christian population. God’s church is also growing, even thriving, in the “Global South”—the developing regions of Latin America, Sub-Saharan Africa, Asia-Pacific, and even to some extent in the Middle East and North Africa. congregations, with some having over 10,000 members. 3% Christian. Today, there are over 516.4 million Christians, accounting for 63% of the population in ten countries (Nigeria, Democratic Republic of Congo, Ethiopia, South Africa, Kenya, Uganda, Tanzania, Ghana, Angola, and Madagascar). It’s estimated that 34,000 people per day are being added to the church. caste or Dalits—the poorest and most discriminated level of Indian society—have become Christians. • More people in the Islamic world have come to faith in Christ during the last 25 years than in the entire history of Christian missions among the Muslims. Many of these people came to faith in Jesus Christ after he appeared to them in dreams and visions. The Pew Forum on Religion & Public Life reported that in 2010 there were 12.8 million Christians in the Middle East/North Africa region, consisting of 3.8% of the population. statistics on Christians and the church. of Jesus (67 million) than members of the Communist party. Even the most conservative estimates suggest that China will soon have more Christians than any country in the world. • Across the globe, followers of Jesus are increasing by more than 80,000 per day, led mostly through the witness of native Christians rather than by Western missionaries. • Produced by Campus Crusade for Christ, the 1979 film, JESUS, has been translated into 1,145 languages, shown in over 200 countries in the peoples’ own languages, with the result that more than 200 million men, women, and children have made decisions to follow Jesus Christ. According to the 2010 survey by the Pew Forum, all these new converts are part of the estimated 1.3 billion individuals who claim Jesus Christ as their Lord and Savior in Latin America, Sub-Saharan Africa, Asia Pacific, Middle East, and North Africa, and account for 60.8% of the world Christian population. Church decline information came from: “ ‘Nones’ on the Rise: One-in-Five Adults Have No Religious Affiliation,” by The Pew Forum on Religion & Public Life; The National Council of Churches; 2011 Yearbook of American & Canadian Churches; The Journal for the Scientific Study of Religion, a 2005 study by Hadaway, Marler, and Chaves; The Barna Group; David Olson, The American Church in Crisis; Internet search. Information on pastors came from the Barna Group; Focus on the Family; Fuller Theological Seminary; Christianity Today; Internet search. Global North and Global South information came from: The Pew Forum on Religion & Public Life; Philip Jenkins, The Next Christendom: The Coming of Global Christianity; Dan Meyer, Witness Essentials; The Mission Department, Bel Air Presbyterian Church; Campus Crusade for Christ; Fuller Theological Seminary; The Outreach Foundation; Christianity Today; The William Carey School of World Mission; Internet search.